This Environmental Awareness Training Course is for everyone. It looks at the problems faced by our environment and addresses our responsibilities in the workplace to help reduce negative environmental impact. It's CPD Accredited and helps you show commitment to The Environmental Protection Act 1990 and the Environment Act 1995. This online, CPD Accredited training course is designed to introduce staff and management at all levels to the issue of environmental responsibility, as well as looking at what can be done to reduce negative environmental impact from our day to day activities. We all know that our environment is under threat and that changes must be made to protect it. In this Environmental Awareness training programme, we make it clear that it’s not just big companies that have a responsibility to make changes - or indeed companies that deal with hazardous materials or waste disposal - it's something that concerns absolutely all of us. This programme looks at the problems our environment is facing. It looks at our responsibilities and wider environmental awareness, as well as covering the various legislation that relates to environmental responsibility for organisations of all types and sizes. Equip your staff with the knowledge needed to make your business more environmentally friendly, with our Environmental Awareness Training course! The Environmental Awareness Training course is broken down into 3 sections. In this section, we look at what the environment actually is, what’s happening to it and why. We cover climate change, biodiversity, human impact and finding the right balance. Workplaces are one of the biggest contributors to UK waste and carbon emissions. In this section, we look at local regulators, Duty of Care, Environmental policies and projects and incentives you can implement in your workplace. This section is very much focused on the WORKPLACE and how organisations can make a real difference through the better use of resources and through good handling of waste and recycling. In the final section, we focus on individuals and how everyone can make a conscious effort to reduce waste and their carbon footprint. We look at simple ways of reducing waste - small changes can make a BIG difference. This Environmental Awareness Training course concludes with a 20 question multiple choice test with a printable certificate. In addition, brief in-course questionnaires guide the user through the sections of the training and are designed to reinforce learning and ensure maximum user engagement throughout. Based on 523 real user reviews. Excellent module, best of the three. It reminded me what i already knew. But very good that all staff are being educated and reminded about their environmental responsibilities. Really good training. All the little things help. Excellent course, makes you think about the environment and how we all can help to save it. 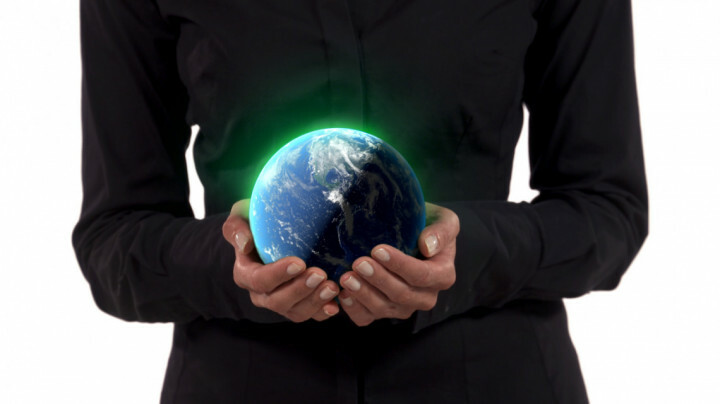 Read our full reviews for Environmental Awareness Training. The Environmental Protection Act 1990 (as amended in 2008) and the Environment Act 1995 say that anyone who produces, handles or disposes of waste must make sure it’s done properly and safely. Businesses and households that don’t comply can be given fines or even prison sentences. The Control of Pollution Act 1974 and its 1989 Amendment regulate waste transportation and disposal, water pollution, air pollution and noise pollution, with fines for non-compliance. The EU Emissions Trading Scheme covers 31 countries. It limits the total amount of certain greenhouse gases that factories, power plants and airlines are allowed to emit, and lets companies buy, sell or trade their emission allowances. It shall be a defence for a person charged under this act to prove: a) that he took all reasonable precautions and exercised all due diligence to to avoid the commission of the offence; or b) that he acted under instructions from his employer and neither knew nor had reason to suppose that the acts done by him constituted a contravention of [the Environmental Protection Act]. The Clean Air Act 1993 places legal limits and prohibitions on smoke, fumes, dust and grit coming from fireplaces or furnaces in homes or business properties. It also regulates the composition of fuels used in cars and other engines. The Water Resources Act 1991, Water Industry Act 1991, and Water Act 2003 regulate the supply, management, quality and pollution of water in the UK, as well as flood defences. The Wildlife and Countryside Act 1981 and the Natural Environment and Communities Act 2006 cover the protection of native wildlife, management of non-native species, and the conservation of nature reserves, sites of specific scientific interest, and other natural environments. The Waste Electronic and Electrical Equipment Regulations 2006 (amended in 2009) covers the environmental performance of businesses that manufacture, supply, use, recycle and recover electrical equipment. The Kyoto Protocol is an international treaty - an agreement between countries to help reduce our GLOBAL carbon footprint.